Sensors & Software Inc. is recognized worldwide as the leading manufacturer of ground penetrating radar (GPR) instrumentation and software. 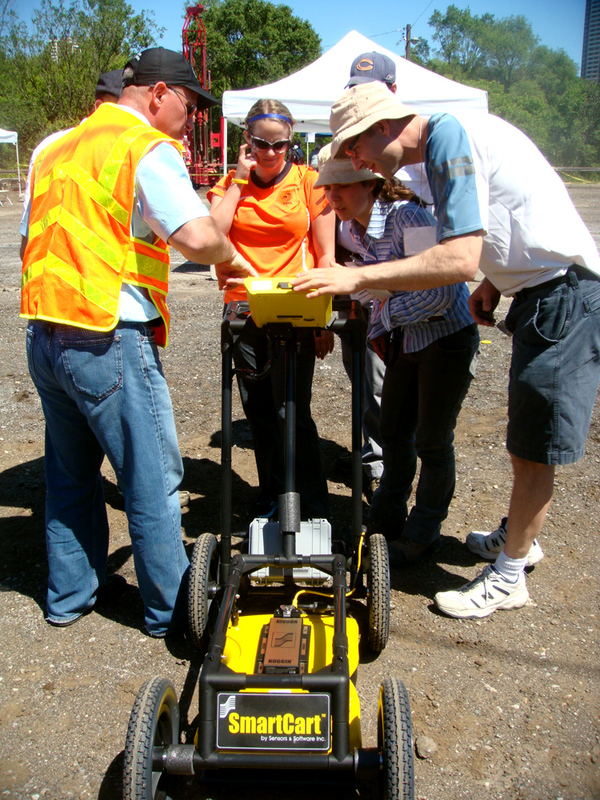 Sensors & Software Inc. was formed in 1988 to commercialize the pulseEKKO GPR technology. This technology focused on geological applications during the 1970's and early 1980's. The innovative pulseEKKO systems represented a major shift from conventional GPR at the time and opened up opportunities for GPR in a wide variety of areas not previously deemed practical. The pulseEKKO systems remain the product of choice for GPR operators working at the cutting edge of developments. Sensors & Software continues to grow and has customers with GPR systems in over 80 countries. The company has developed systems for numerous applications, including structural assessment, mining and quarrying, utilities, forensics, archaeology, geology, environmental assessment, glaciology, agriculture, and landmine detection. Our products allow for the integration of GPR instrumentation with various transporting platforms, as well as a variety of positioning, data recording and display devices.